Welcome to Kitchen Parade's first new tool for the program called "PointsPlus" which Weight Watchers launched in late 2010. (Update: Weight Watchers later replaced PointsPlus with SmartPoints in late 2015 and with Freestyle in late 2017.) 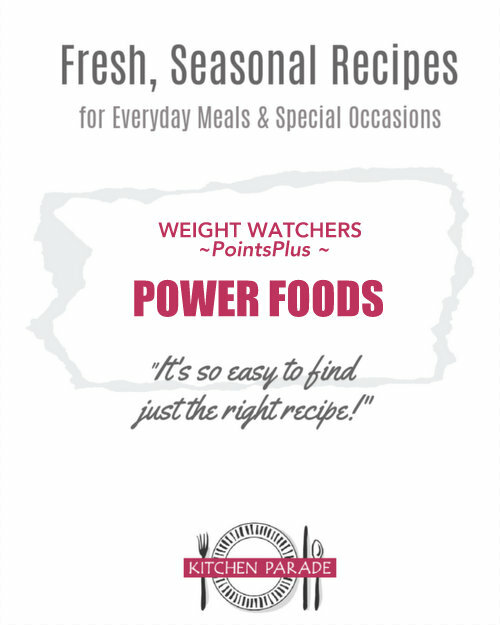 On this page, you'll find what Weight Watchers called "Power Foods" in the PointsPlus program in a list of all of WW's healthy, whole-food and real-food ingredients – best of all, those ingredients are linked to the Kitchen Parade recipes which use those ingredients! Many Weight Watchers love that we can "eat what we want" so long as we count points. The combination of "unlimited food choices" with "limited portion size" remains a fundamental feature of the new PointsPlus point system that Weight Watchers just unveiled. While other eating regimes and diets work great for people, me, I cannot imagine giving up bread, rice, potatoes and especially fruit. Why does an apple or a carrot belong on an "eat occasionally" list? The fact that Weight Watchers has no food restrictions is one of WW's best features. But – the new PointsPlus program will gently nudge our food choices toward what Weight Watchers calls "Power Foods". This is a good thing, training our palates and our bodies to choose and enjoy healthy foods in healthy portion sizes. Change is often good, so is focus! Weight Watchers has identified about 130 healthy foods that are "preferred" (my word), what WW calls "Power Foods". Some of the Power Foods have zero points, I mean, "PointsPlus values", that's what the new PointsPlus point system calls what we used to call just "points" and what I now call "Old Points". For the first time the zero-point food list includes many fresh fruits along with the usual zero-point vegetables. WW does get specific. For example, skim milk is a Power Food but higher-fat milks are not. But WW is also going further. For example, wild salmon is a Power Food but farm-raised salmon is not. IF YOU DON'T WANT TO COUNT POINTS, AT ALL or TEMPORARILY For Weight Watchers who choose not to count points, eat only Power Foods and eat just until satisfied, not until full. Power Foods replace Weight Watchers former "CORE" plan where counting points is not required. The Power Foods might be a useful tool during periods when life is too busy or too complicated to count points. IF YOU WANT to FOCUS on HEALTHY FOOD CHOICES & HEALTHY PORTION SIZES For the rest of us who do count points, the Power Foods list will help us focus on ingredients and foods that will result in healthy food choices and healthy portion sizes. Think of Power Foods as the "head start" on making healthy choices in your weight loss journey! I love the Power Food list, even if I think that some things are missing, like tomatillos and farro and wish that sugar-free Jello and commercial popcorn weren't on it at all. PointsPlus is not Weight Watchers current weight-loss regime. It was replaced by SmartPoints in late 2015 and by Freestyle in late 2017. I maintain this page because it's still working for those who still follow the PointsPlus program, in the way I still hew to "Old Points" because that's the system I internalized when I first starting using Weight Watchers. 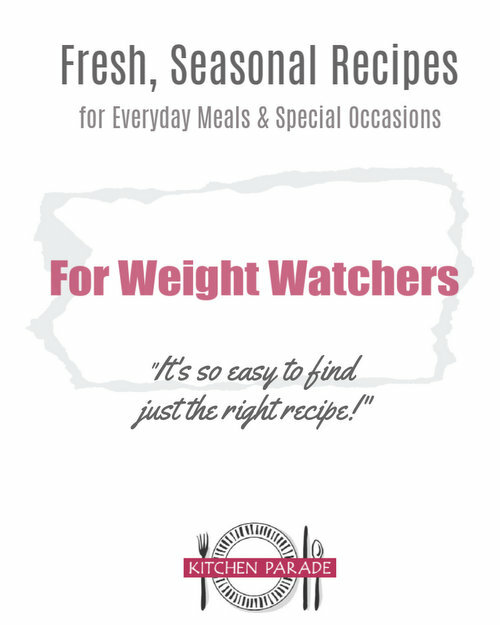 Kitchen Parade is not affiliated with Weight Watchers, check here for more information. As always, I urge those who are interested in following the Weight Watchers programs to sign up at a local WW center or online at WeightWatchers.com. WW's specific details are noted in [brackets] like this. Foods [shown in brackets] like this but not linked to a recipe list on another page here on Kitchen Parade means that I don't currently have any recipes using that ingredient. As you can see, I have recipes for nearly all the Power Food ingredients but ooops, have some real work to do in the grains department! Virtually all of Weight Watchers' new healthy whole-food "Power Foods" are already every-day ingredients in the recipes here at Kitchen Parade, my food column, and A Veggie Venture, my food blog about vegetables. Readers, this means that if you like my recipes, I think you'll adjust easily to the new PointsPlus values! In the Points Plus list of foods, what are the ones in parentheses? Sandra ~ The ones that look [like this] but aren't linked are foods on Weight Watchers Power Foods list but are ones that I either don't track by ingredient or that I have no recipes for. The ones that look like this, say [Lean] Chicken, means that Weight Watchers specifies that the chicken be lean to qualify for the Power Foods list but that my recipes are just for chicken, you choose the cut. I'll add a reference to make it clear, thanks for the question! Farro is a power food. Had it for breakfast. Yummy. Anonymous ~ Agreed! Shall we petition the WW powers that be?! Generally, what is the serving sizes and serving limits of "Power Foods"? I'm guessing they are typical serving sizes, like 1/2 cup serving of fruit up to 2 servings/day would be free? Or are you only allowed a limited number of servings of Power Foods a day? Like 5 servings of whatever power foods you want can be free, but any more than that and you have to start counting? The new method doesn't make sense to me, yet, as it seems to have many more opportunities for increasing one's daily calories without noticing it (and thereby decreasing the rate of weight loss). Maybe it will if/after I embrace it fully. I just joined WW and am on week 2. I stuck to the points plus method all last week and lost 6.2 pounds the first week. On to week 2. On the Points Plus plan can I still have diet soda and is it "free"
Rona Y & Helen - The PointsPlus is so new and different, I encourage you to check in with your local WW office to get the hang of it. Jancd - Congratulations! Great news! Is ther any one point plans on the points plus program, other than fruit? It is hard when away from home to grab something for a snack when you want something other than fruit. If you have any ideas please post them. Hi Pattie, The PointsPlus is so new and different, I encourage you to check in with your local WW office for ideas about WW friendly snacks. So are you saying that all the items listed on the Power Foods list have a "zero points plus value" making them free? I read on another site that any beans and potatoes would have points to them. 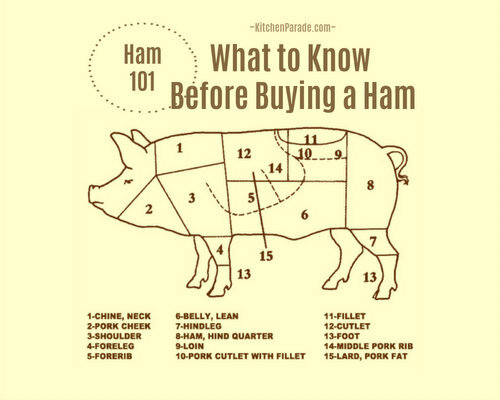 I can't wait to check out and try some of your recipes. No, Power Foods aren't "free" - but they are healthy food choices, ones to build menus around. It's the new way that Weight Watchers is nudging us to not just count points (for example, I suppose we could use all our points on ice cream and chocolate and still lose weight) but to choose healthy foods and then count points. And it's how I've been cooking forever - healthy, whole ingredients, but counting points. It's how so many of my recipes (not all, but most, it's a journey ...) have so few points, because they start with healthy ingredients in small portions. Hi all of you. My name is Peaches. I use to be on on weight watchers until I was hit by a drunk driver. Now I am on disability and can not afford weight watchers anymore. Now all I have are your comments, and they are a blessings. I am not sure what my points are anymore. if someone could help me I would be thankful. Again thank you all for your comments.